After getting stuck in a web of consequences—including being thrown overboard, swallowed by a big fish and tangled in slimy seaweed—Jonah learns it would have been much easier just to obey in the first place. So how does a successful prophet/person spiral downward so quickly? The same way any of us spiral down the slippery slope of disobedience. It begins with a justified thought: I’ve worked hard all week, what’s a little flirting? . . . Maybe I didn’t tell the whole story, what they don’t know can’t hurt . . . . If my boss knew that I barely make ends-meet he wouldn’t care that I pocket a donation now and then. The justified thought followed by a justified action initiates the descent. It doesn’t take a rocket scientist to figure out sins’ negative ripples affect not only the one being disobedient, but also affects surrounding lives. So what should we do when we find ourselves in the belly of our consequences? In last week’s post, Jonah’s Unhallowing of God’s Name, Jonah had finally answered the sailors’ questions about his identity. His answers, along with his actions, parallel important New Testament teachings for reconciliation with God. Acknowledge our sin (Jonah 1:12) – “I acknowledge my sin to You … I said, ‘I will confess my transgressions to the Lord’; and You forgave the guilt of my sin,” (Psalm 32:5). 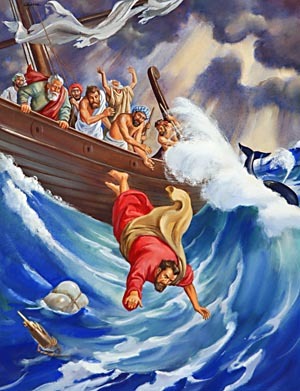 Accept God’s discipline (Jonah 1:15) – “It was good for me that I was afflicted, that I may learn Your statutes . . . . I know, O LORD, that Your judgments are righteous, and that in faithfulness You have afflicted me,” (Psalm 119:71, 75). God doesn’t discipline for sport. Rather, He wants to prepare us for His purposes by reviving and realigning us. Ask for forgiveness (Jonah 2:2) – Repentance has two parts: 1) Confession means to agree with God about any rebellion or sin we harbor and ask Him to cleanse us; 2) Change means to change our attitude, mind, and actions . 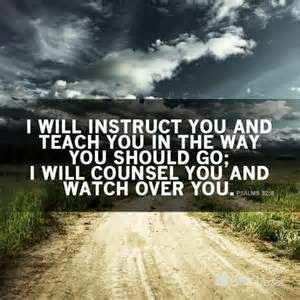 . . turn away from the sin and turn toward God. Although Jonah’s heart still didn’t align with God’s heart, his actions finally complied with God. Sometimes we just need to step out in faith and allow God to help us align our hearts and feelings in time. I love that no matter how far we have slipped, or how much time we’ve lost, God is faithful and completely forgives (1 John 1:9). He is the master of taking our messes and shaping it into something beautiful, replacing the old with fresh life in Him. Has God’s divine interruption revealed anything you are holding on to too tightly? Is there a goal, comfort, ambition, or sin He is asking you to release? If so, release it to the One who loves you and knows you best. Then go where He is leading. While Jonah 1 records everyone praying except for Jonah, chapter 2 records a beautiful prayer of Jonah crying out to God. The bulk of his prayer highlights the depths he sunk both spiritually and physically. For more on prayer, specifically unwrapping the Lord’s Prayer, you may listen to Pastor Cliff Purcell’s podcast here: A Family Conversation – Week 4 (Feb. 4, 2018). Blessings! This entry was tagged Accept God’s discipline (Jonah 1:15), Acknowledge our sin (Jonah 1:12), Act on God’s direction (Jonah 2:9; 3:3), Ask for forgiveness (Jonah 2:2), Christianity, Jonah and the Slippery Slope of Sin, Jonah cries out to God, Steps Toward Reconciliation with God, The Lord's Prayer "A Family Conversation" – Week 4 (Pastor Cliff Purcell)), the ripple effect of sin, what can I do when overwhelmed with the consequences of my bad choices?, what does it mean to repent?. Bookmark the permalink.